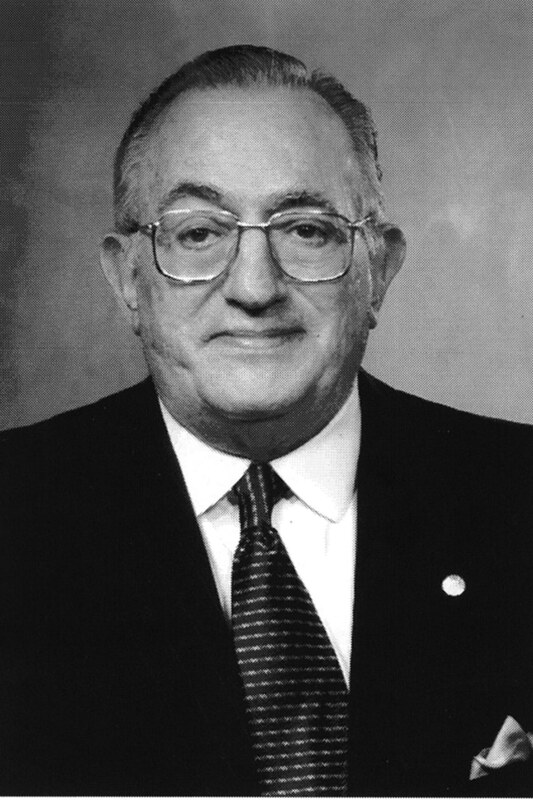 With great sadness, TESOL International Association mourns the loss of Dr. James E. Alatis, a founding member of TESOL and its first executive director. Jim Alatis touched many lives during his tenure as TESOL executive director and throughout his career. The first time I met Jim, I didn’t know it was him! It was 20 years ago, at my first TESOL Convention, in 1995, at Long Beach, California. I was overwhelmed with the scale and scope of the conference, as it was the biggest event I’d ever attended at that time. I remember talking with someone who said to me, “It’s OK. Joining TESOL is like becoming a member of an extended, international family.” I was comforted by that, and I later learned that the person I’d met was Jim Alatis. That brief initial encounter has stayed with me all these years and helped to shape everything I’ve done within the association since then. Dr. Alatis will be sorely missed. For more about his life and work, please read the statement from TESOL. Please feel free to share your memories of Dr. Alatis in the comments. From 2015 to 2016, Andy Curtis served as the 50th president of TESOL International Association. He received his master of arts in applied linguistics and language teaching, and his doctorate in international education, both from the University of York in England, He is based in Ontario, Canada, from where he works as a language education consultant for organizations worldwide. This entry was posted in TESOL Blog and tagged James E. Alatis, TESOL Convention, TESOL Executive Director, TESOL founder, TESOL President Elect. Bookmark the permalink. Dr. Alatis’ many talents and his deep commitment to TESOL and language learning have touched the minds and hearts of hundreds and, perhaps, thousands of language professionals over the years. My one opportunity to meet and talk with Dr. Alatis came in 1980 when he was meeting with ALL of the Texas TESOL affiliates (I, II, III, IV, and V). As he met with the presidents and vice presidents from each of these affiliates, he explained that, although it was unusual to have five affiliates in one state, he understood the value of building on the vision of grass-roots leadership in each state. At that time, he was seeking to establish affiliates around the world. Indeed, that has materialized, and TESOL’s reach around the world is unique. Indeed, the essence of TESOL is a result of Dr. Alatis’ vision and his tireless commitment to the profession and those serving within it. The ALATIS FAMILY would like to thank EVERYONE for their kind, warm, and sincerely heartfelt comments. We look forward to seeing many of you next week in Toronto where we hope to bring the “ALATIS” spirit to the conference on behalf of my father. My husband and I send our condolences to Penny, to the family and to colleagues. Roger first met Dr Alatis in Egypt in the early 1980s when Roger was working there with the British Council. Roger returned to the Council in London in 1984 and relationships with TESOL remained very strong and productive. Roger asks me to say how much he valued Dr Alatis’ professional collaboration, and his kindness and very good company. He will be much missed. My husband and I send our condolences to Penny, to the family and to colleagues. Roger first met Dr Alatis when James visited Egypt in the early 1980s, and Roger was working there for the British Council. Roger returned to London with the Council in 1984, and its connections with TESOL remained strong during the 1980s. Roger has asked me to say how much he valued Dr Alatis’ friendship and professional collaboration, as well as his kindness and very good company. He will be much missed. I was very pleased to be able to read the “vision” of Dr. Alatis in the extract from the TESOL statement below. Although I never met Dr. Alatis, I feel connected to him through his vision. I think that we should keep his vision in mind as we make changes to TESOL at the governance level in order to promote professional development opportunities. My sincere condolences to Penny and the other members of the family of the late James Alatis. I first met Jim at one of the TESOL International conventions in about 1984 or 1985. I received much encouragement and guidance when I shared with him my desire to start a Chapter of TESOL in Panama. That dream became a reality in September 1986, and we were honored to have Dr. Alatis as the featured speaker at our 1992 Convention. Since then, Dr. Alatis and I have maintained contact annually at the TESOL International Conventions. He was indeed the life and soul of the organization. Even though we shall miss his physical presence at our TESOL events, his spirit will continue to permeate all that we do to improve the quality of English language instruction throughout the world. May he rest in peace. I had the pleasure to have known Dr. Jim Alatis and his lovely wife, Penny, for many years. Our annual get-together at the TESOL Convention was always marked by a hug, a photo, and a chance to catch-up. Jim’s commitment and contributions to TESOL were extraordinary. He was a friend to young and old, to those new to the field and to the seasoned veterans. We were blessed with his presence, his insights, his inspiration, and his support. He will be missed more than words can express. My condolences and prayers are extended to Penny and to the entire Alatis family. I am now a district level administrator of ESL, bilingual, and world languages programs for an urban school district with approximately 800 ELLs K-12. Dr. Alatis’ spirit of student and teacher advocacy guides my practice every day. I aspire to be a fraction of the inspirational leader that he was, and my students are better served thanks to his influence. Dean Alatis, I raise mia birra in your honor. Your hard work has made our profession a wonderful place to be. I met Dr. Alatis many times over the years at the TESOL conventions and the first few times, I was so timid and didn’t even dare to approach him as he was always surrounded by passionate TESOLers right after the Alatis plenary presentations. I’d just stand outside the circle admiring him as I knew he was instrumental in forming the association and that TESOLers call him and his wife Penny the founding father and mother of TESOL. Later I started to approach him. One of the nice conversations we had was at the TESOL 2007 convention in Seattle, when I served as the local affiliate WAESOL president and the local co-chair for the convention. He and Penny told me how much they loved TESOL and coming to TESOL convention was their favorite family reunion. They also encouraged me to get more involved with the TESOL family, and I promised them that I would. I hope I didn’t let them down. Dr. Alatis has inspired me and so many TESOLers over the years on so many levels. His vision, legacy, and influence will always be with us and the TESOL community. The accomplishment that TESOL enjoys today is a direct result of his pioneering leadership over its first two decades. The Mexican Association of Teachers of English, MexTESOL, came into existence with the active support and help of Dr. James Alatis back in 1973. Dr. Alatis was a specially invited guest speaker at the first MexTESOL Convention in Tampico, Tamaulipas, Mexico in 1974. And Dr. Alatis returned to Mexico when the 12th Annual TESOL Conference was held in Mexico City just a few years later in 1978. Both events, the founding of MexTESOL and the 12th TESOL Conference in Mexico City in 1978 led to a dramatic, actually explosive, increase in interest in English language teaching in Mexico with many innovative programs developed at universities and private institutions throughout the country. MexTESOL itself greatly benefited from this energizing thrust and we continue to expand in our efforts to improve the teaching and learning of English in Mexico. MexTESOL wishes to convey its heart-felt condolences to the Alatis family, especially to Penny, and to the greater TESOL International community and English Language Teaching field for its loss. TESOL affiliates around the globe will continue to support and pursue the mission and values of the professional association Dr. Alatis helped found. He was a leader, a visionary and a charismatic figure that continues to inspire educators today to carry on the work he and his colleagues began almost half a century ago. My deepest condolences to Dr. Alatis and his family. I have a rather embarrassing memory of how I first got an honor of meeting Dr. Alatis. I met him in the summer of 1988; it was one of my first classes in Georgetown University. I couldn’t attend the first day when everyone introduced themselves; and so I failed to know who this student called Jim, always taking the very front, center seat of the class, was. He was the oldest in the class, and yet the most vital, positive, and talkative person in class. He was so friendly and often came to talk to me after class asking about the situations in Japan and what I had been doing in Japan. I felt so embarrassed about the way I was talking with Jim, Dr. Alatis. Frankly speaking, I was thinking he was just an inquisitive and likable old man, and I didn’t really answer his questions seriously. During my two year life at Georgetown both as a graduate student and as a Japanese lecturer, Dr. Alatis looked constantly busy but always gentle and generous. After 20 years of absence, when I had a chance to greet him at TESOL convention 2010, he remembered the summer program and called me Makoto just with the same friendly voice. Since then, I have always looked forward to the convention, and I was waiting for a chance to talk with him this month in Toronto for the fifth year in a row. I can never forget the many things you taught me. You were always kind, gentle, friendly, humble, and humorous and taught me what is important as a human. I can never forget the many scenes of my earlier encounters with you when I was in Georgetown in the late ‘80s. I can still remember you being so active, vital, and energetic both in the class and in the office. I can never forget the many happy emotions I experienced whenever I had a chance to talk to you during the annual TESOL convention in the last four years. I am deeply sorry that I won’t be able to feel the joy this year; it was just 20 days away. I will always remember you and make efforts to help people to lead happier lives by learning English. You will always remain in my heart, Dr. Alatis. May you rest in peace. James Alatis was the life and soul of TESOL, teachers all over the world are debtors of his contribution. he will be greatly missed. Jim was such a kind, wonderful, welcoming person. I remember seeing him from afar at my first convention (Miami) and wishing I could approach him. Little did I know how approachable he was. When we did finally meet several years later (at a conference – where else? ), I found how easy he was to talk with. He couldn’t wait to introduce me to Penny. One of my favorite evenings ever was a night in Alexandria at dinner with Jim and Penny, and then-executive director, Chuck Amorosino. Just us four, and the stories of TESOL, his life, Greece, teaching – it was a magical night, Thank you, Jim, for giving us so much of you, and thank you, Penny, for sharing Jim with all of us. We will miss you, Jim. I was saddened to learn of James’ death, and send my condolences to Penny and the Alatis family. James and Penny have always been cherished friends and supporters and we enjoyed many wonderful meals together. James was an extremely generous person and did much to help me establish myself in the field. Many years ago after one of my presentations at a TESOL convention, James spoke to me after my talk and said that he thought I had a contribution to make to the field and that he would help make my name better known. One of the ways in which he did this was by inviting me to speak on a number of occasions at the Georgetown Roundtable series. He also encouraged me to serve on the TESOL Executive Board and to revitalise the TESOL publications program. Many people such as myself were recipients of his support and generosity, for which we are very grateful. I remember Dr. Alatis fondly. In the early 1980’s he through TESOL saved INTESOL, the newly formed Indiana TESOL affiliate by arranging a loan from TESOL to cover some unexpected expenses. INTESOL did pay back the loan over the next few years. We have always been grateful for that help from him and TESOL. I was fortunate enough to know Jim Alatis when I was active in TESOL, including several years on the Executive Board and a term as President. During that time, and for many years after, any time I was in DC I would meet him and Penny and hear about all he was doing to build TESOL. I was thus able to appreciate all he did for the organisation, transforming it from a idea into the start of the international presence it has become. In those days, of course, this was not a full-time professional job; rather it was the extra service taken on by an academic who continued to teach (especially Greek), write.and administer. Even after he retired, we met occasionally; I was particularly impressed when he came to a lecture I gave at a local university. Working together, Jim and Penny Alatis helped build the international profession of English language teachers. Their work will be long remembered. Whether through his writings, his leadership of TESOL, the many research and exchange projects he established, his genial and generous presence, Dr. Jim Alatis (with Penny in so many of these efforts) made the world of TESOL and the world at large a better, more interesting, and more collegial place. I celebrate these contributions and mourn this great loss. Deepest sympathy to his family, colleagues, students, and friends. When I was a teenager in the 1950s my father was a Fulbright lecturer in Athens, Greece for two years. During that time Dr. Alatis taught a Greek class for the Fullbrighters in the Fulbright office in downtown Athens. He allowed me to attend the class. Prior to that, the only foreign language I had studied was Latin using the grammar translation method. I loved the Greek class. We learned so much and also had a lot of fun role playing scenarios in our elementary Greek. He was an excellent teacher. That experience was one of the things that influenced me to enter the TESOL field. It’s hard to capture what it means for a single person to have the gifts and generosity to put an entire profession in his debt. Jim Alatis was the face of the TESOL International Association for its first 21 years. He was truly a force of nature. Most remarkable to me was the way he and Penny reached out to young scholars, especially graduate students. I was a grateful recipient of their kindness and intellectual support. My deepest sympathy to Penny and the Alatis family; you are in our thoughts and hearts. I am deeply saddened by the loss of Dr. Alatis. I remember him fondly from my Puerto Rico TESOL days back in the late 70’s and early 80’s, and from the numerous conventions I attended where he was very much a part of. He was always so friendly and warm. Much of what I did back then and do now as an ESL teacher, I owe to him. I learned so much from his knowledge and dedication to the field. Today, is a sad day for TESOL community. Dr. Alatis was a mentor extraordinaire! He and Penny were known for wrapping their arms around new people to the field and encouraging them in all that they did…not just at one convention but for all the years in between and even those months between conventions. Always ready with a quick smile a half hug, a quip on his lips, he was Mr. TESOL in all that he did! I always looked forward to seeing him and Penny at each convention! He is surely dancing the streets of heaven…converting all to knowing another language! I had the opportunity to meet Dr. Alatis at the International Convention & English Language Expo Held on march 2013 in Dallas, Texas, I remember him as a humble and committed person to TESOL principles. May he rest in peace. I had the honor of meeting Prof. Alatis in 1991 at George Town University, USA. Though a very busy person, he allowed the time to spend 45 minutes with me reviweing various issues of interests in the filed of linguistics and others relating to his contribution to TESOL. Prof. Alatis will be missed as a figure who had influnced the thoughts and beliefs of linguists worldwide. Though Atlais is not longer with us, his remarkable work and knowledge will never be forgotten. You will be deeply missed and always be in our hearts. My deepest condolence to Atlais’s family. As I read the news of Dr. Alatis’ passing, I feel incredibly proud to be affiliated with Georgetown University, with the School of Languages and Linguistics, from where I received my induction into language teaching, and TEFL, and where I first met James Alatis in 1985, upon my return from Peace Corps service in Thailand. I have been privileged to have attended many TESOL conventions over the years, starting with the one held in Chicago in 1996, and seeing Dr. Alatis at almost every one over the years was always a source of great joy. He always had a special word for everyone that came up to him, and he always made me feel a part of that extended family. My condolences to his wife, Penny, and to the Alatis family and to all of those who worked closely with him over the years and were touched by his enduring kindness. I pray to almighty the soul of Dr. Alatis provide the strength to his family,the followers, the students and the TESOL family. As a new member of TESEL, I am feeling very sad for loss our recmarcable exacutive. Even Alatis’ body left us his spirit and view of teachers’ training and learning will encourage us to keep on going further on the way of improving our TESEL association . Dr. Alatis was an extraordinary leader and friend. In fact, he embodied TESOL leadership and friendship. No one was an outsider in TESOL for Dr. Alatis. He welcomed me to the association when I was a graduate student, congratulating me on my Marckwardt Award and many times after that, too. When I was a young faculty member abroad and returned to the US and wanted to use the library at Georgetown University in 2003, he arranged it immediately. His efforts to help me and many, many other young TESOLers are part of my TESOL memory book. My heart is heavy as I send my heartfelt sympathy to Penny and all of the Alatis family and all of the TESOL family too at the loss of our association founder and beloved friend, Dr. Jim Alatis. May he rest in peace. Dr Jim Aaltis will be sorely missed. I will never forget the moment of our meeting at TESOL 2012. When I mentioned to him that I had been selected to be the recipient of the TESOL Award for Distinguished Research 2011 and that we first had met at TESOL 1994 (Baltimore, MD), he still remembered me. Out of excitement, he immediately shared this with his wife, Penny. When I related to him how his generous help at that time played a significant role in my career development, I could see how he shared the joy with me. I have not told others except my wife how Dr Alatis’ encouragement has made me what I am today. As Dean of School Languages and Linguistics, he offered me a TA in the Department of Chinese and Japanese in order to support me for pursuing my PhD at Georgetown University after our first meeting at TESOL 1994. He showed his sympathy toward, and understanding of, someone from China, who left the country for the first time and who loved English language teaching so much when the political situation in China was not that favourable to foreign language teaching. Be at rest. I will remember you in my heart, Dr Alatis! May God bless Penny and other members of the Alatis family!